Looking for re-roofing services or looking to install a new roof on your home in the York, Pa area? Call Leak No More, INC at (717) 812-1167 for immediate re-roofing assistance. Also, don’t forget to ask about our coupons and discounts. We may not always offer coupons, but it doesn’t hurt to ask! When you have a roofing problem or you’re looking for re-roofing services you may need help FAST. Leak No More, INC is a phone call away and we’re available 24 hours a day. A licensed, uniformed crewmember will be at your home on time to provide you with a new roof estimate. We respect you and your home, and you can expect us to arrive on time. Our crewmembers even wear name badges. Take a look at some of our positive reviews. Most people gave Leak No More, INC a 5 out of 5 stars! The thought of putting a new roof on your house is intimidating. Just thinking about putting a new roof on your home sounds expensive, time-consuming and overwhelming. Not to mention the idea that tearing off a roof and putting on a new one sounds like a mess. Leak No More, INC makes the process smooth and painless. 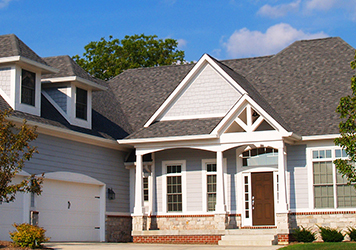 We’ve been in the Roofing business long enough to know how to put a beautiful new roof on your home for a great price. We treat every home as if it’s our own. Learn how Leak No More, INC in York, PA will guide you through the process of putting a new roof on your home in a cost-effective and time efficient manner! Leak No More, INC has been perfecting the art of roofing in the York area for over a decade! Our industry has dramatically changed since we started, with new standards and advanced technology to help make the roofing process easier. However, one thing has remained constant: our dedication to providing the best roofing services. If you have questions, then we have answers! Make Leak No More, INC your one stop shop for all your roofing needs. Call us today at (717) 812-1167 for fast and reliable service!